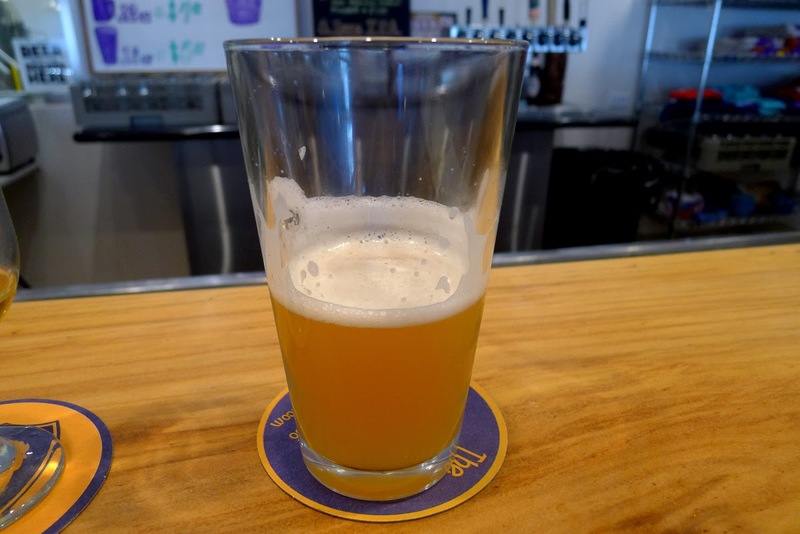 POIPU, KAUAI – My travels around the Northwest and West Coast have taken me to countless places where beer styles are mostly similar what is most common in Portland. 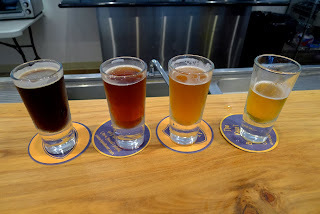 I'm talking about hoppy ales of varying color, and the occasional lager, stout and Porter. It's different here in the tropics. I don't want to go on a rant about how climate affects tastes in beer, but I think it definitely does. Heat and humidity alter choices. People in the tropics are far more apt to look for something lighter. I think that applies to locals and tourists. As I've mentioned in the past, the beer choices here in Kauai are not great if you're a fan of good beer. Light Kona beers are everywhere and you can find beers from Maui Brewing and others if you dig a little. But locally produced beer for this climate is not easy to find. 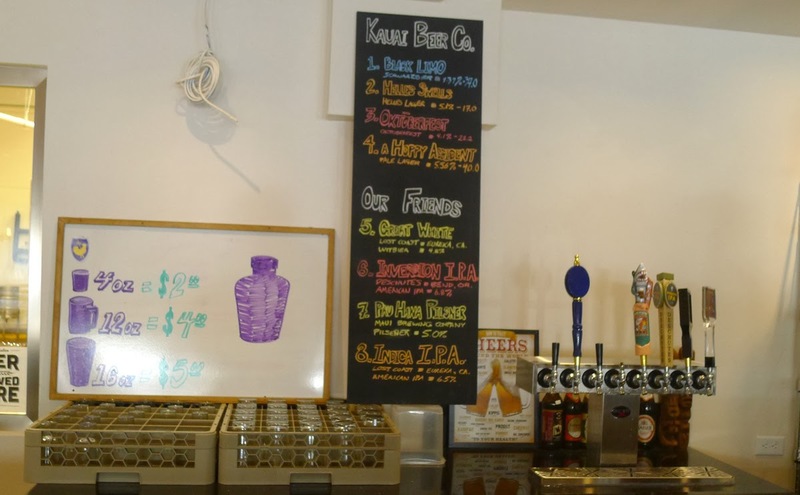 Of course, Kauai Island Brewing up in Port Allen makes some decent beers. Brewer Dave Curry has been making good beers here for many years. He makes ales, and I would say some of the lighter ones are especially good fits for Kauai. 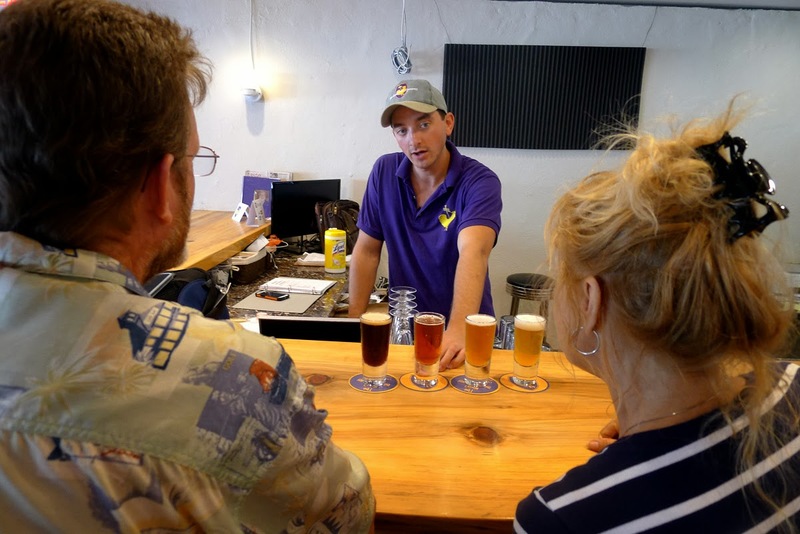 Enter Kauai Beer Company, which recently opened a tasting room in Lihue and is distributing its beers to select restaurants and bars on the island. The approach here is different. Owner Jim Guerber and his son and head brewer, Justin, believe strongly in drinkable session beers. Today, these take the form of German-influenced, tasty lagers. The flagship beer is Black Limousine (Black Limo, for short). It's a dark lager...officially a Schwarzbier, that clocks in at 4.5% ABV and 28 IBU. You look at Black Limo and you think it's dark and maybe doesn't fit here. Then you taste it and realize the roasted flavors are smooth as silk. This beer is light as a feather, despite the color. The co-flagship beer is Lihue Lager, a crisp and refreshing beer that is chock full of flavor you just don't find in a typical light lager. It clocks in a 4.4% ABV and 17.5 IBU...the type of beer you can drink all day with friends hanging out at the beach or pool. Lihue Lager is so popular they were out when I visited... so I tasted it from one of the tanks. Not quite ready for prime time, but still good. Helles Swells is the evil twin of Lihue Lager. They use German yeast and Hallertau hops in this one. 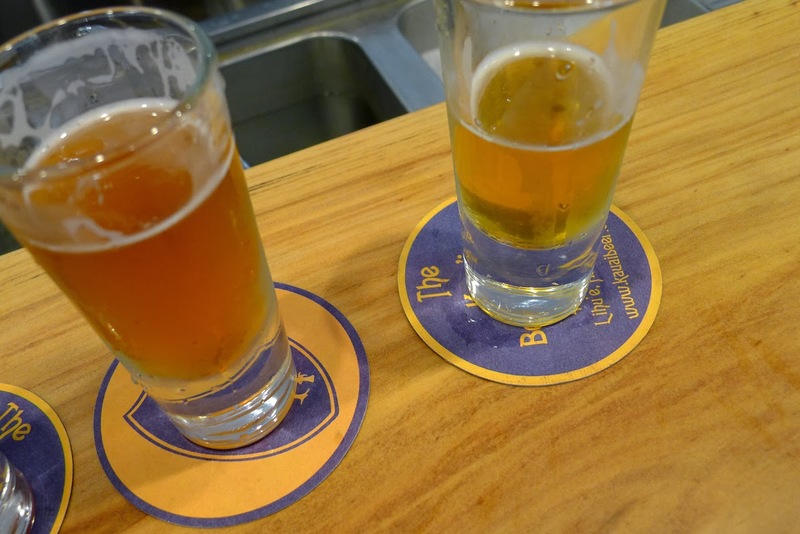 (They use a yeast hybrid and more standard hops in Lihue Lager.) Helles Swells clocks in at 5.1% ABV, 17 IBU. It is a decidedly bolder interpretation of Lihue Lager. I could not get enough of this stuff when I was in the tasting room. So good. 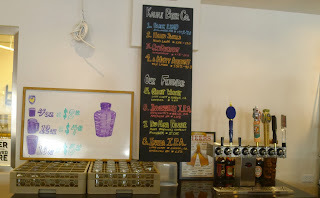 Other entries include a light-bodied Oktoberfest (4.1%, 22 IBU) and the mildly hoppy, A Hoppy Accident ((5.5%, 40 IBU). These are both serviceable, drinkable beers, but Black Limo, Lihue Lager and Helles Swells are the ones to remember. 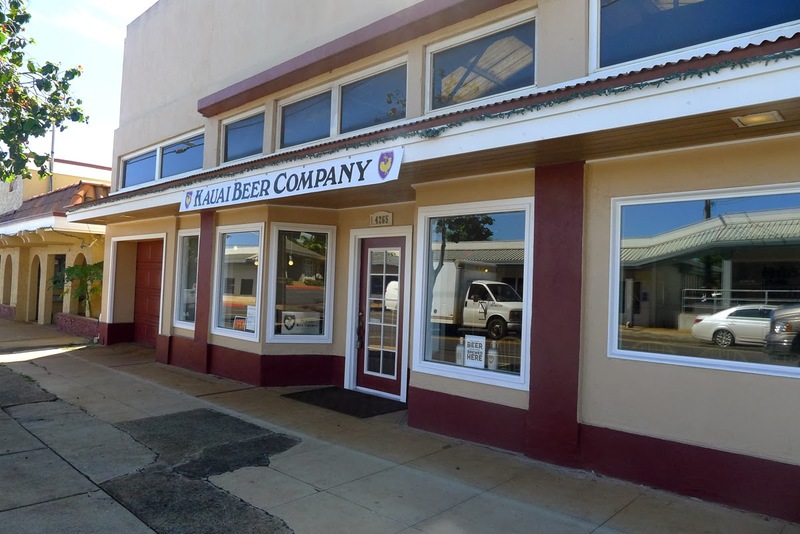 By all accounts, Kauai Beer Company is the brainchild of Jim Guerber, who is an accomplished brewer going back many years. His son picked up on Jim's brewing techniques and values and together they decided to launch this business. The fact that they make primarily lagers is interesting, particularly given the cost of doing so out here (refrigeration is expensive). This is the beer they think fits best here. These guys are really just getting started. They bought and installed a used 10 bbl brewing system. Jim has three 20 bbl fermenters and there are four 10 bbl serving/brite tanks. They have eight tap handles at the moment...four for their beers and four guest taps The number of taps will likely expand, but they apparently expect to always have guest offerings. 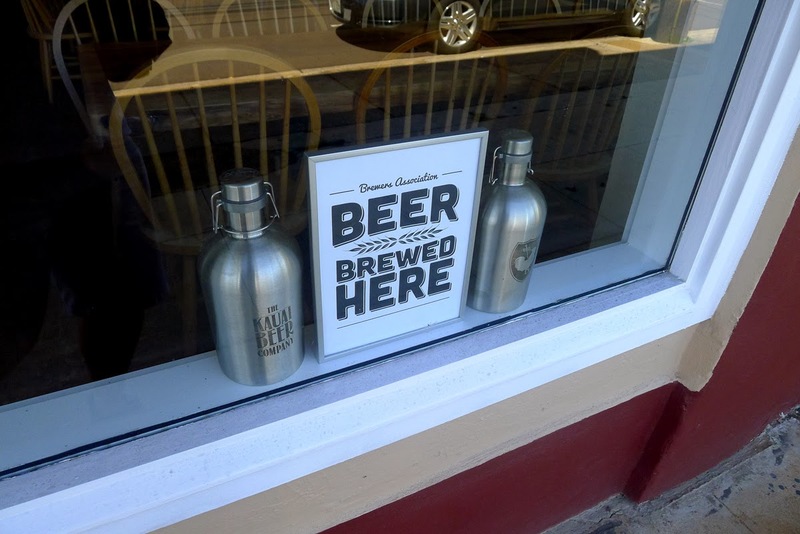 It's a perfect set-up and they have plenty of room to expand in their downtown Lihue location. There's barely a hint of it now, but they will eventually have food here. Also lots of TVs. The goal from the beginning was for this to be a brewpub. But Jim and Justin take the long view. They are building the business from the ground up. If things go well, they hope to have the pub part of the operation up and running by early next year. Special thanks to Eric Burda, assistant brewer and apparent jack of all trades at KBC. Eric provided a lot of information on the beers and what whey are working to accomplish in general. As more fans appeared at the bar, he happily moved over to answer their questions, as well. This is the kind of guy every brewery needs. If you're headed out to Kauai and want to taste great beer, look these guys up. The place is not hard to find, but beware the hours are somewhat limited. At the moment, the tasting room is open Wednesday and Saturday, noon to 6 p.m. That may well change. These guys do not yet have a fully functional website, so like them on Facebook to follow what's happening there.